We live in such busy and rushed times that we often forget to be mindful and present. Life can become difficult when we allow ourselves to be lost in thought. There are so many people who try to “survive” the week. They speak about hump day (Wednesday) and TGIF (thank god it’s Friday), and one day they will be old and realize that they didn’t enjoy the journey. What a sad way to live life. Start the morning with truly enjoying your coffee or tea – sit, smell it, taste it, enjoy it (10 minutes is a great start). – I have never had a coffee in my car before I moved to Canada 15 years ago and I still value a good and mindful breakfast with my husband at home. Practise mindfulness during routine activities. – For example, when you drive to work, choose a different route. It will help you to become more aware and will prevent that you function on autopilot. Breathe while you have to wait somewhere. – I don’t know about you but I am very impatient in these situations. In order to prevent frustration it helps me when I take a few deep breaths and then I start observing the people around me. Frustration can turn into fascination. Choose a cue to be mindful. – For example, whenever you touch a door knob , enter a meeting room or whenever you get a cup of coffee – see, touch, truly be in the moment. It helps to be present instead of being lost in thought all day long. 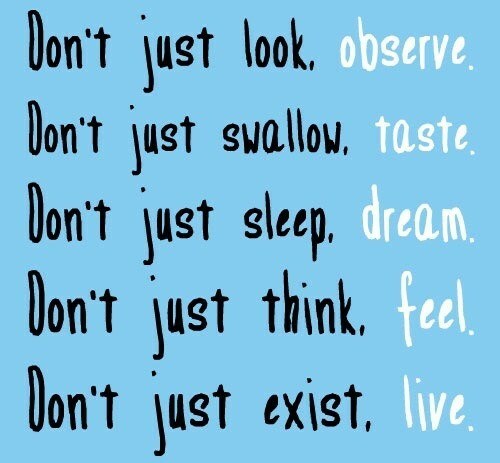 Mindfulness is all about working with our five senses (see, touch/feel, smell, hear, taste) and learning to be present. Wouldn’t you want to stop the “worrying process” in your head? Your thoughts, your attitude and your emotional responses will become more balanced, and you become a better decision maker as well.